For all of you eco warriors out there, here is a simple and super cheap laundry liquid recipe that I got from Bec at Eco & Us. Make 6 litres of laundry liquid for under $3!! That’s about 6 cents a load. 4 Litres water A few drops of eucalyptus and lemon essential oil. I use Aldi’s eucalyptus oil for cleaning. Get lemon essential oil at your local health food store. It helps with brightening your clothes. 1. 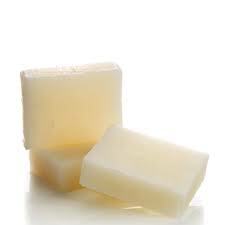 Grate or chop finely the cake of soap. I used my thermomix to mill it. 2. Pour boiling water over soap and stir until dissolved. The finer it is the quicker it will dissolve. 3. Add bi-carb and liquid soap. 4. Top up with cold water and essential oils. It will thicken slightly on standing. I poured mine into 3 x cleaned out 2 Ltr vinegar bottles. I shake it before i use it. 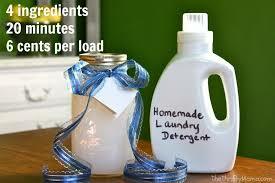 Use about 1/2 a cup per wash. I also like to use white vinegar in the rinse cycle as a fabric softener.